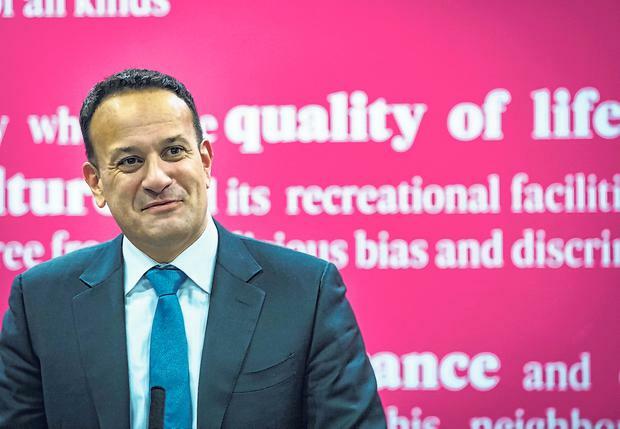 Issue of rights: Leo Varadkar’s Government has been accused of failing the homeless. I wish to compliment Trish Casey on her letter (‘I’m one of tens of thousands the State has failed’, Irish Independent, December 27). Rarely, if ever, has the case showing the ineptitude of all governments from the foundation of the State in the area of the provision of housing for its inhabitants being articulated so coherently. She describes how she finds herself wakened by her own screams and the realisation of the enormous difference between her current experiences and her belief and hope of what should be the true position in a free and independent State. I can understand the dichotomy she feels between what politicians say and do. I can empathise with the confusion, that ever-rising GDP with the absence of money to build social housing – especially when the EU orders Apple to pay her State €14bn and her Government spends many millions taking a law case against the EU refusing the money. The circus that takes place in the RDS annually, overseen by leading lights in the Church and the State, is a great example of tokenism which now replaces Government and makes the establishment “feel good”. There were three Fs fought for by Michael Davit and the Land League in the 1880s and finally enacted with full implementation by the British government in the Land Law (Ireland) Act 1881 . The two most important Fs, that would be very relevant today, would be “fixture of tenure” and “fair rent” fixed not by the landlord but by land courts. Our Free State governments were guided more by how Joseph Campbell described “the Gombeen men” who “like a spider sits, Surfeited; and for all his wits, As meagre as the tally board, on which his usuries are scored”. Our governments of all hues place the rights of the Gombeen man supreme, whether he be a small shopkeeper “fumbling in his greasy till” or the banker or the new absentee landlord – sometimes called “vulture fund managers” – superseding all others. Trish Casey and the thousands like her, but not so eloquent, must even if “they get up early (as praised by our Taoiseach) in the morning” be content with whatever lot they are unfortunate to find themselves in and be content with the status of asylum seekers in their own land. Finally, the real tragedy is that a lady as articulate as Trish cannot find a job or if she has one that her status as “homeless” is often belittled by the comfortable middle class as “useless tax scroungers” must be terrible to endure. As I write this I have the Letters page (Irish Independent, December 27) open in front of me and I’m sad to say the photo accompanying my words negates the point of my letter. You went for the stereotype – a homeless person is a rough sleeper begging for charity. Rough sleepers are the visible homeless – I wrote to you about the hidden homeless, of which I am one. Is it necessary to make this distinction? Yes, very much so. When we see an image of a rough sleeper we can maintain a few safe degrees of separation. We can tell ourselves that the rough sleeper is somebody who (for whatever reason) has fallen away from society. But the vast majority of homeless people in this country are not rough sleepers. Look around you. The person sitting next to you on the bus could be one of the hidden homeless. The nurse tending to your mother could be one of the hidden homeless. The electrician who sorted out the lights could be one of the hidden homeless. The colleague opposite you at work could be one of the hidden homeless. Wake up. The hidden homeless haven’t fallen away from society; the hidden homeless are society and our country has betrayed us. AT THIS time of year, we are encouraged to reflect on the events of the past and resolve to do better in the future. I wonder if this advice applies to ministers? And, in particular, health ministers? Simon Harris has advised us he is developing a “world class children’s hospital” under the management of the HSE while he presides over a regime wherein that self-same organisation seeks to absolve itself of responsibility for cervical smear and misread radiology scandals as well as budget overruns of biblical proportions. All of this goes on while trolley numbers escalate and the minister and his advisers exhort all who are ill to attend their primary care provider in the first instance. Mr Harris doesn’t appear to have noticed that general medical practice is even more backed up than the ED departments, which hold most of the media attention. Why is this? The numbers of young graduates who are interested in entering general practice in Ireland have collapsed and the numbers leaving through “natural wastage” bring all that accumulated experience with them. What could the minister do about the problem, I hear you ask. He could listen to his Taoiseach who tells us all on a daily basis the recession is over and that the economy and tax receipts are strong. Between them they could repeal the measures contained in Fempi 2010, which have resulted in no reward for the work carried on at primary care level. Now that might be a New Year resolution which could have a greater effect on raising the health service level in Ireland than building a monument to bad planning on the wrong site in Dublin. SANTA has been and gone and now he’s having a well-earned rest back home at the North Pole. For those on the good list there were presents from Santa, those on the naughty list got coal in their Christmas stocking but for those defending America overseas there was a visit from the Orange Grinch. It has been traditional in recent years for the American president to make a goodwill trip to see the troops overseas at Christmas time, although this did not happen last year. Goodwill is an interesting word that can mean many different things, although comments like “Cause at seven, it’s marginal, right?” don’t really reflect it. There is no truth to the rumour that someone is building a big wall that will keep out all unwanted people and that could include presidents – maybe it’s just wishful thinking. FOR people of all religions and none, the first Christmas in Bethlehem 2,000 years ago set down a marker and a standard that is impossible to ignore. Today, we may pretend we now find the conditions and the attitudes at that time to be totally alien and unacceptable. But the truth is, nothing has changed here in the last 2,000 years. By the looks of things in Ireland today, nothing is going to change in the next 2,000 years. The ironies and similarities between the conditions and the attitudes during the first Christmas in Bethlehem and Ireland in 2018 are striking to say the least. Specifically, our lack of progress in housing the homeless and caring for children and the sick should leave us feeling at best both guilty and uncomfortable. Our Government and media strut around the world bragging about how “modern, liberal, tolerant, and enlightened” they have, together, made today’s Ireland. But their abject failures to provide housing and health services are monumental and unforgivable. No doubt even King Herod himself would be embarrassed at what he would find in Ireland today! It is nothing short of a great national crime that our people – and particularly our children – are denied at least the same conditions and these most basic of human rights. In this Year of Our Lord 2018, is it too much to ask that this is the very least we are all entitled to expect?! Unless and until it is delivered, let all parties in Dáil Éireann and the Irish media please stop the hypocrisy of claiming to be “modern, liberal, tolerant, and enlightened”.